Drunk driving arrests were up at the start of the California Highway Patrol’s Labor Day weekend enforcement period, the agency said Saturday. CHP officers arrested 29 people for suspected DUI violations around San Diego County between 6 p.m. Friday and 6 a.m. Saturday, an officer said. Officers arrested 18 people throughout the county during the same period last year. 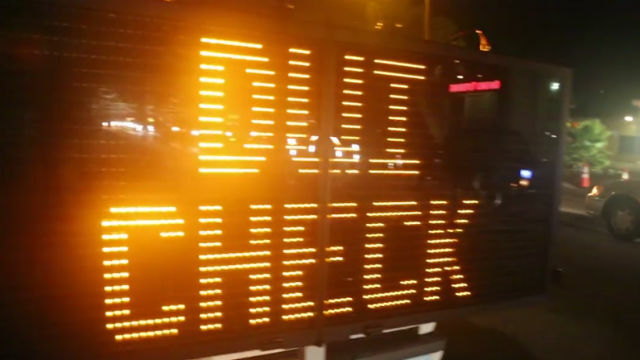 Statewide, the CHP arrested 307 people for suspected DUI violations over the first night of the holiday weekend, up from 293 in 2017. There were six traffic fatalities reported by law enforcement agencies across the state during the period, up from three last year. None of the fatalities occurred in San Diego County.